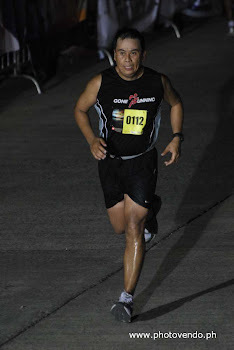 As I was browsing the sports section of the online news today at INQ7.net, I happen to read the article of Anne Jambora dated May 5, 2009, entitled “Ironman comes to town”. It was good that for the first time, our country is hosting such a big event in the name of sports. This is a sport which I believe Filipinos can compete as it is a game of endurance, strength, and most of all discipline. By promoting such an event, it will encourage more athletes to understand and appreciate the sport. Not all including myself is aware of the details of preparation of such an exhaustive activity as well as the science behind this endurance sport. Aside of promoting the sport, this will also help introduce our tourism since triathletes can explore the good places in our country. It would be a great achievement to be able to participate in a triathlon and I hope to realize my plan of joining in the next 2-3 years (is that enough preparation?). But wait.. not too fast.. I’ll improve my PR in running and cycling first.. But, its best to set a goal and work on realizing it.